3. 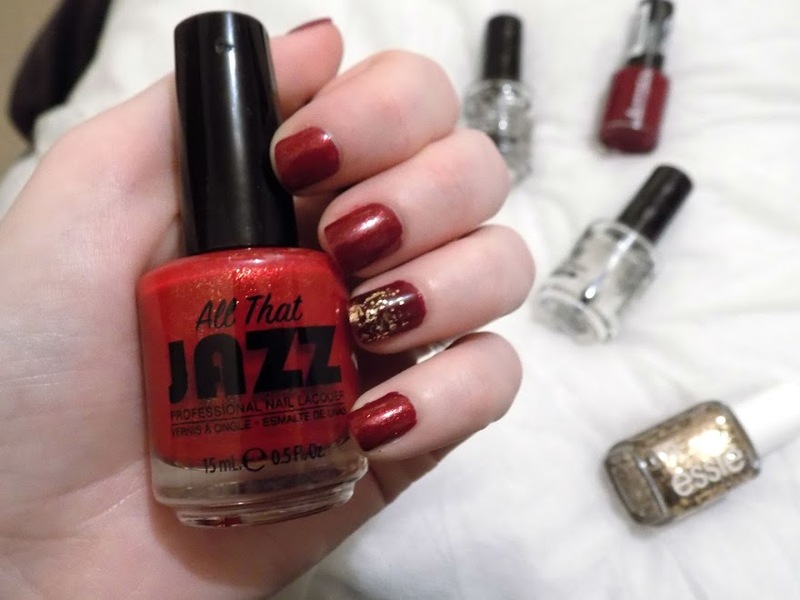 All That Jazz Nail Lacquer in "Jemimas - Don't Step On My Red Bottoms"
4. 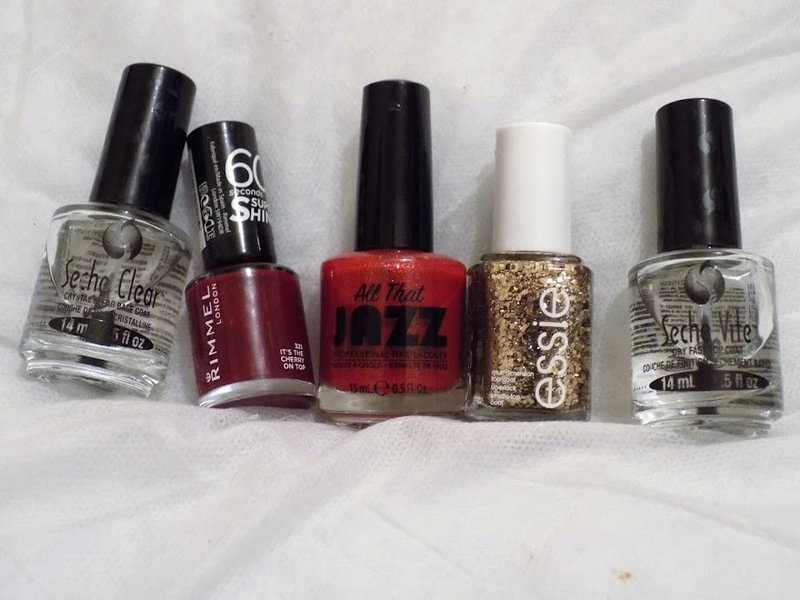 Essie Multi-Dimension Top Coat in "Summit Of Style"
It's as simple as that. 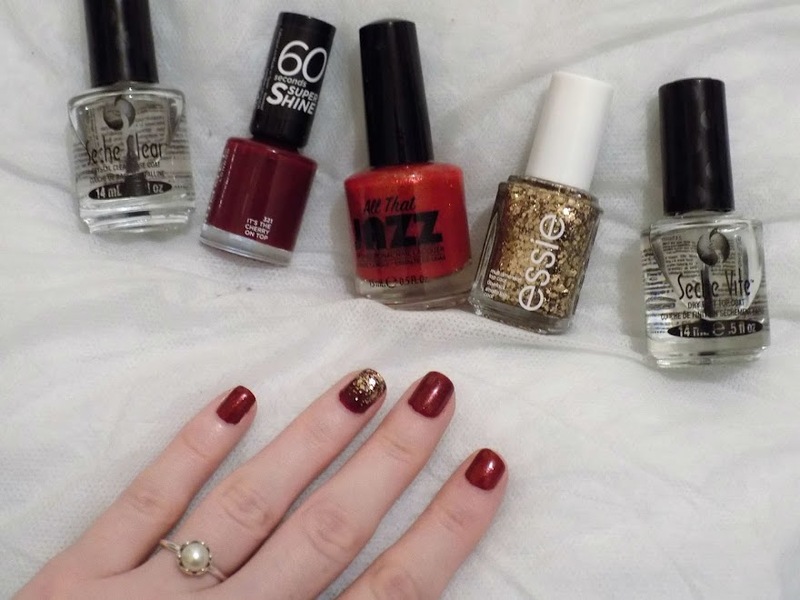 It's difficult to pick up the glittery-ness from the All That Jazz polish but it looks incredible and I love it over this darker red rather than a brighter red. You'll have to excuse my pathetic pointer finger, my nail split right the way down and so I had to cut off as much as possible and then file it right down so it's a bit skewiff but there we go, not much I can do about it now.